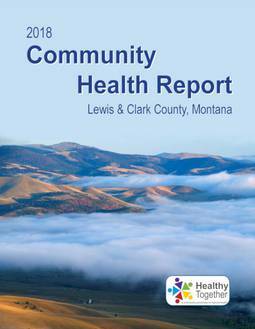 Healthy Together is an ongoing partnership among agencies in Lewis and Clark County that are concerned with improving population health. The partnership was formalized in October 2017. The purpose of Healthy Together is to work strategically, comprehensively, and collectively toward improving the health of all Lewis and Clark County residents. Our primary goals are to produce, every 3 years, an assessment of public health needs in the county, identify priority issues, and consider strategies and resources to address them. The partnership will monitor and record progress on health improvement annually. This "community health improvement planning" process, or CHIP, is an opportunity to develop a common agenda for the entire community. It will help everyone to focus energy and resources and support policies, projects, and programs that will be most effective in improving the health of the people we serve. The result of the CHIP process will be a health improvement plan that will describe how participating community organizations can work together to improve health of our population. The plan will be developed during a series of task force meetings. A steering committee (see list of members at right) guides the administrative work of Healthy Together, including facilitating meetings, creating agendas, inviting participants, and publishing reports.